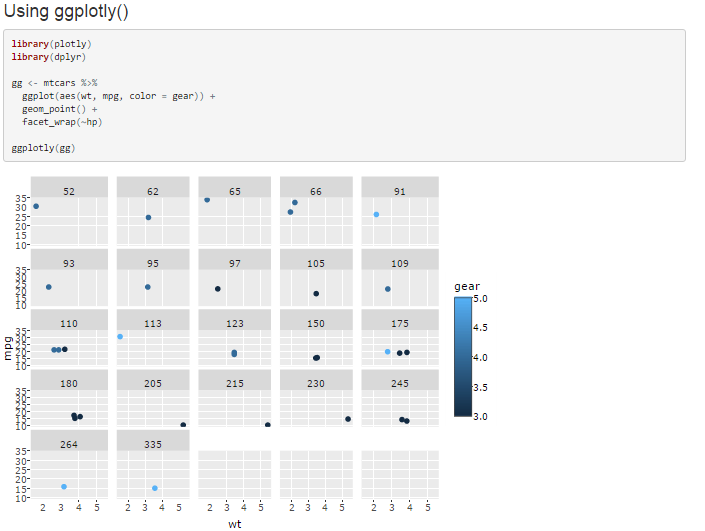 I'm having some trouble using the plotly R package. I'm very new to plotly but I loved that I could use ggplot-like syntax so I'm trying to make it work. I created a faceted plot where you can hover over a datapoint and see details about that record. I'm very happy with the plot, but I'd like to resize it so the y-axis of each plot isn't so short, as in I'd like to adjust the height and width of the overall plot. 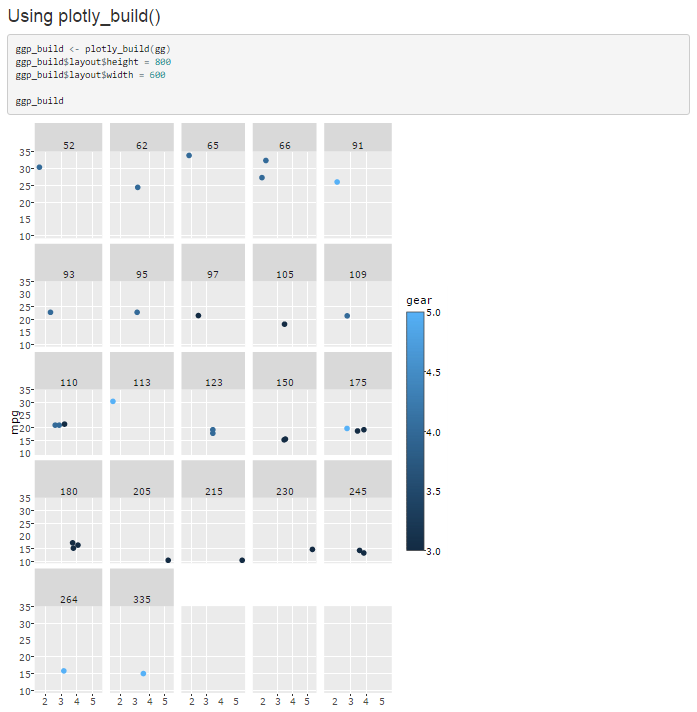 As is, I can't figure out how to override the default sizing and I'm pulling my hair out because all of the examples I can find use plot_ly() rather than ggplotly(). I'd rather not rebuild the plot just to adjust the sizing unless I need to. I tried adjusting the plot to show two rows of plots but still have trouble because the year labels get smashed together. Resizing seems like all I need.